Children are one of God's greatest gifts to us. They bring joy, remind us what true faith should look like, and renew us. As parents and as a church, it's our responsibility to open our children's minds to the wonders of God and to begin the work of building a strong spiritual foundation. Keeping our kids safe is always our top priority! We strive to offer a safe environment for everyone that enters our ministry, and that includes our parents and volunteers. 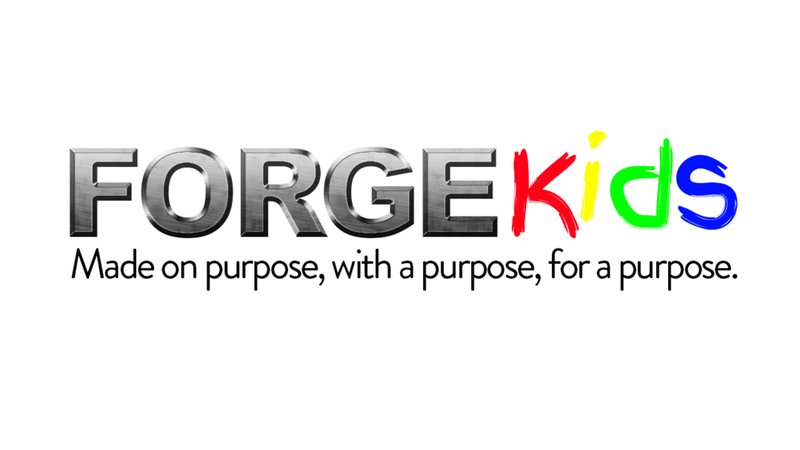 Whether it's through the way we require background checks, or in how we are careful when it comes to our check-in process, we think you will always have a peace of mind when your children hang out in FORGEKids! We have specifically designed each classroom around the right amount of content and play time. Kids need to have fun and it's always more fun when it's with kids that are your age. Each age group grows up with increased levels of spiritual growth opportunities while maintaining the wonder and faith of a child. Each week we take a topic, story, or theme and drive every component towards helping our kids encounter Jesus. We want our children to grow up with a strong foundation and understanding of who Jesus is and how much He loves them while never shying away from being on mission in their neighborhoods and schools as missionaries 24/7.